Get your share of the harvest! 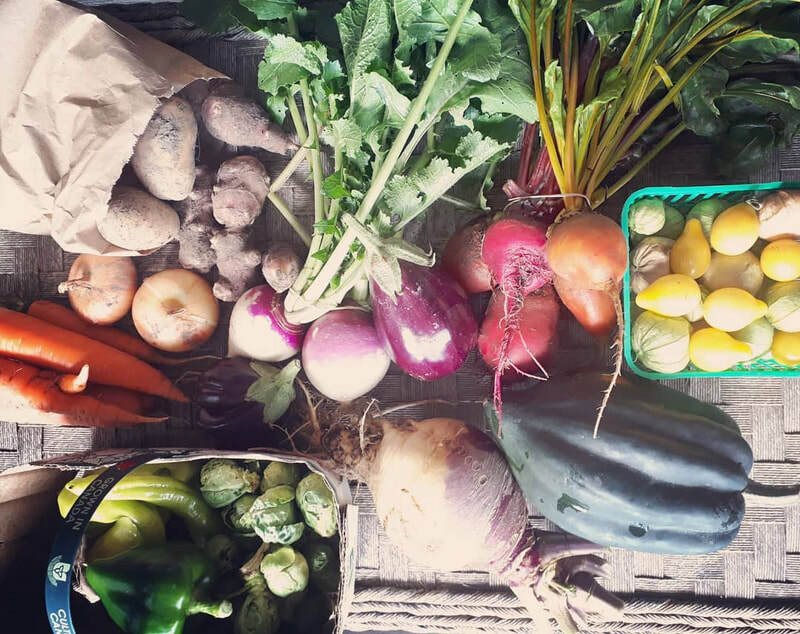 Guaranteed local, seasonal, pesticide-free, sustainable produce! CSA stands for “Community Supported Agriculture”. 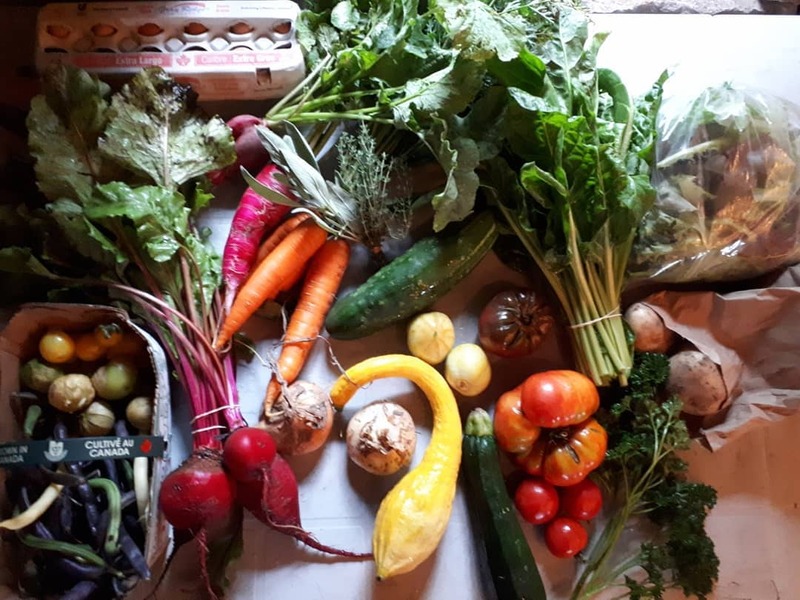 Members of the wider community receive a weekly or bi-weekly basket of fresh seasonal produce directly from the farm in return for purchasing a “share”. ​A "share" is a payment to contribute towards the cost of growing the vegetables you will receive. Members share the costs of supporting the farm, share the stories from the farm and share the harvest! A regular CSA share is made up of 7+ items and this is suitable for 1-2 veggie lovers or a small family of 4. A large share has 14+ items and is suitable for a family of 4+ or for sharing between friends, neighbour or work colleagues. This is our best-value share option! From farm to drop-off point in just a couple of hours! Spring: (a mix of) Arugula, Lettuce, Spinach, Radishes, Green Onions, Snap Peas, Snow Peas, Garlic Scapes, herbs. Early Summer: (a mix of) Collard Greens, Beets, Onions, Pak Choi, Swiss Chard, Lettuce, Spinach, Peas, Radishes, Broccoli/Cauliflower, mixed herbs. ​Mid-Late Summer: (a mix of) Cabbage, Baby Potatoes, Beets, Garlic, Fennel, Nasturtiums, Cilantro, Basil, Cucumber, Zucchini, Carrots, Swiss Chard, Kale, Beans, Onions, Tomatoes, Tomatillos, Ground Cherries. 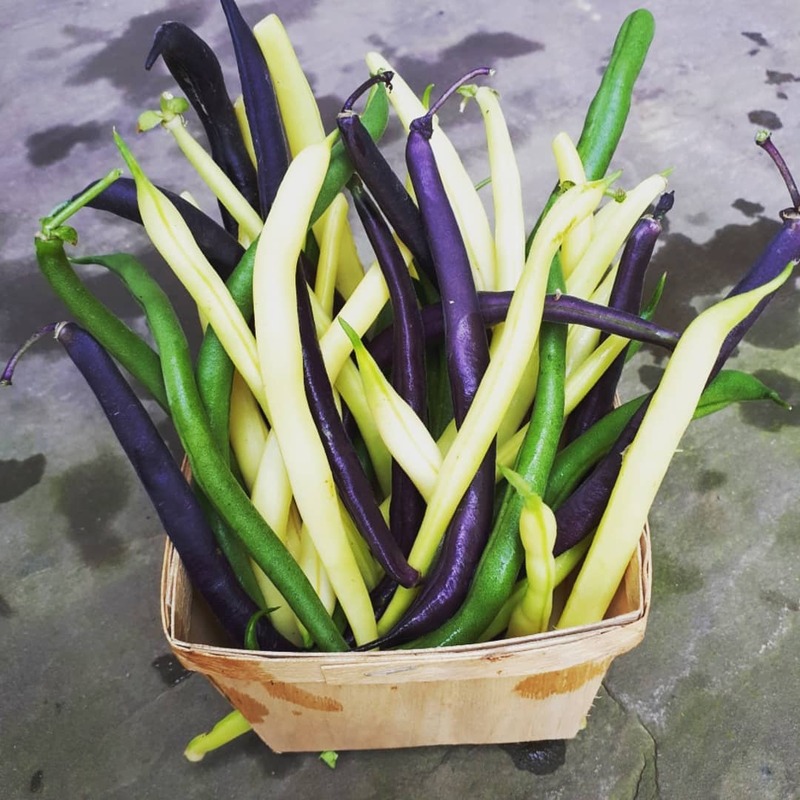 Fall: (a mix of) Potatoes, Winter Squash, Garlic, Onions, Carrots, Beets, Kale, Eggplant, Tomatoes, Tomatillos, Ground Cherries, Turnips, Rutabaga, Okra, Peppers, Sweet Corn, Cabbage, Mixed Greens, Winter Radish, Brussels Sprouts. If there is a crop failure we will substitute the item for another more abundant crop. There will also be a swap box available at pick-up locations to swap out something you don't like for something else! ​While size and content of each share will vary naturally as the season progresses, expect to get a smaller share at the beginning and then increasing steadily into late Summer and Fall. When and for how long will I receive my share? You will receive your share of the bounty over a period of 20 weeks from mid-June to end-of-October. 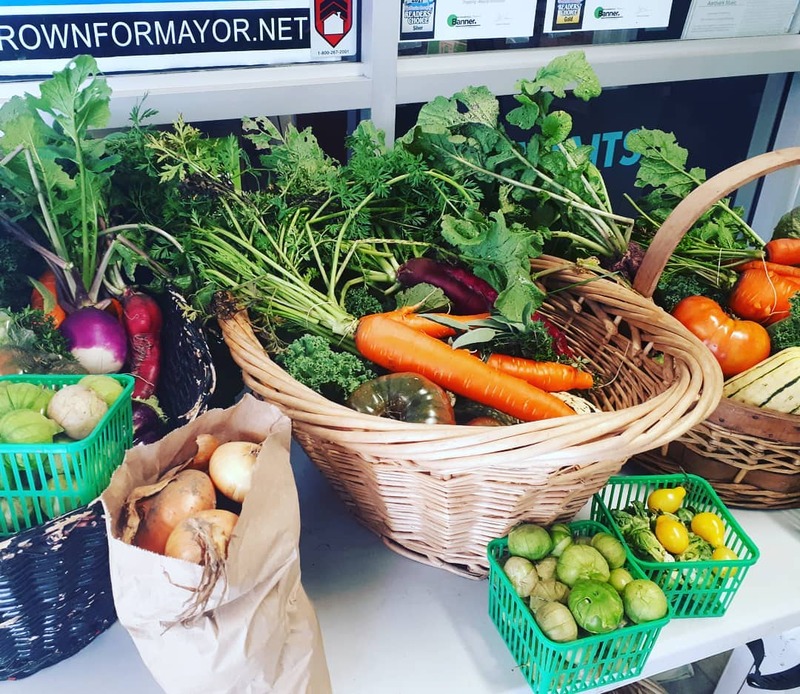 You can choose to pick-up at the farm in Grand Valley on Thursdays, 4-7pm or at our drop-off location in Orangeville (229 Broadway) on Mondays, 6-7pm. A drop-off can be made to another location if there is enough demand. Exact days, times and location will be determined in the Spring or when membership fills up. If you have any questions or concerns about this please contact us. CSAs have been in existence in North America for just over 30 years. They exist for many reasons including health, educational, ecological, economical and for community. Health: Eating fresh and local food has greater health benefits due to the higher amount of nutrients present. After produce is picked and packed the nutrient level decreases. Produce consumed immediately after harvest is healthier and tastier too. Eating seasonly also provides you with a diversity of foods that are good for your health and some research indicates what's grown local may contain more nutrients required for that time of year. Educational: Through our newsletter and farm visits you will learn a lot about sustainable farming and seasonal eating. There are opportunities for kids to learn how and where their food is grown. Ecological: Not only does your food not travel thousands of kilometers before getting to your kitchen, it is also not grown in soil that has been treated with synthetic pesticides, herbicides or fertilizers. 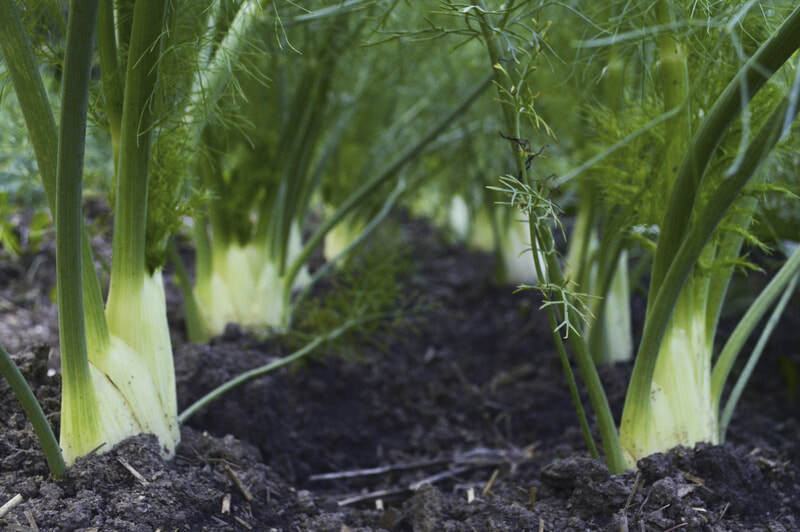 We use aged compost, green manure crops and crop rotation to ensure the soil gets what it needs. 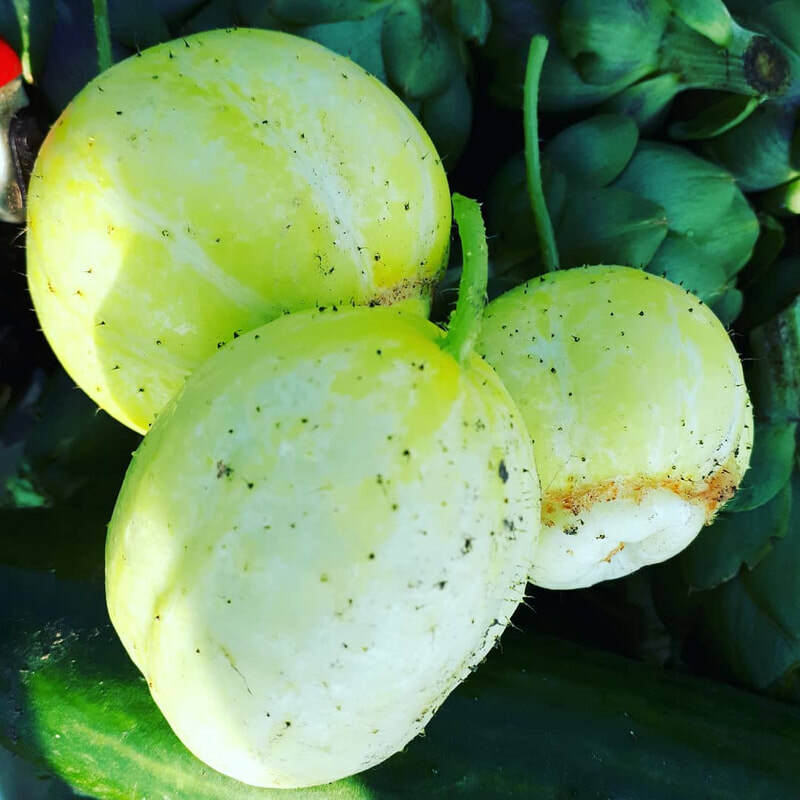 This means you are doing your bit for the environment by creating a market for vegetables grown organically and supporting farmers who care about naturally enriching the soil. 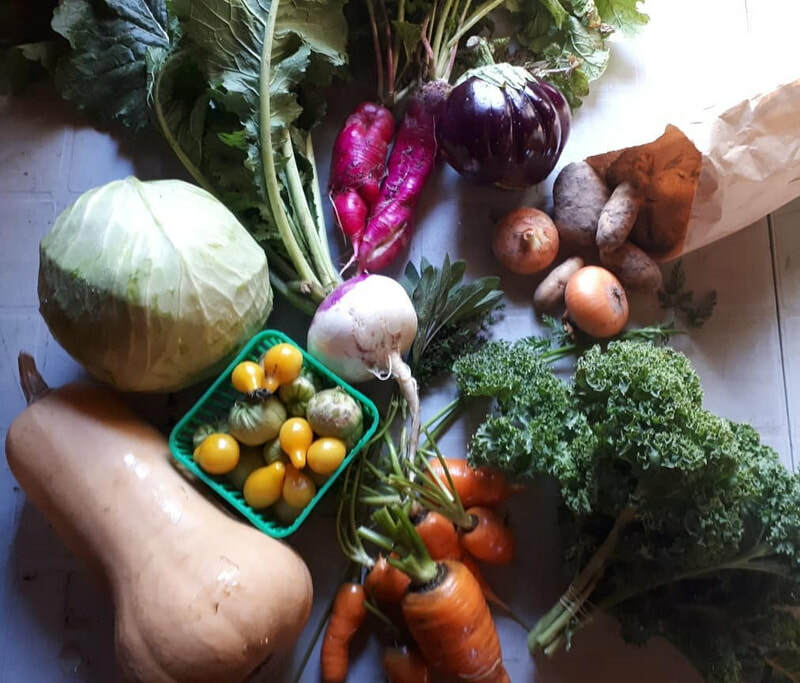 Economical: A CSA share can provide you with exceptional value when compared with the cost of buying organically grown produce in the grocery store. You are also supporting the local economy, supporting local farmers and ensuring your dollars circulate back into the community. Community: Members have a direct relationship with their food, their farmer and other members through farm visits, newsletters from the farm and potluck lunches! 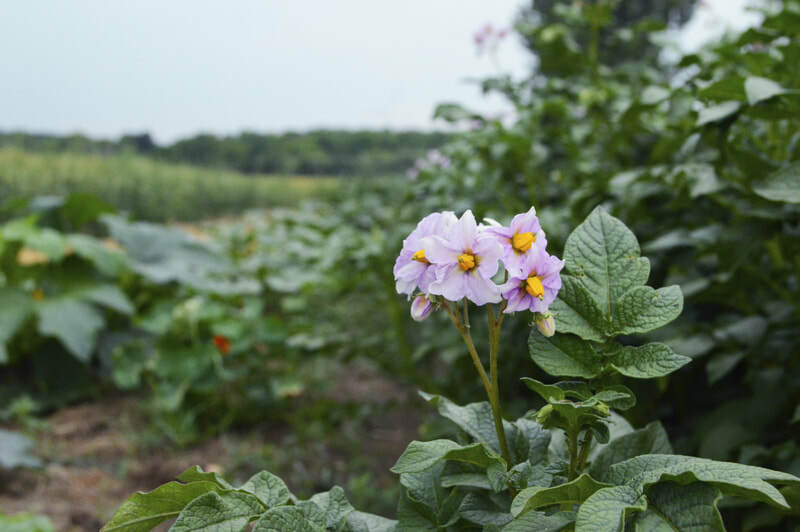 At Grand River Gardens you can trust us to produce the highest quality, freshest food possible at a fair price! Payment plans are available. A $50 deposit can be paid as soon as possible to reserve your place. Then the first payment is due by April 30th. Following this two more payments are due, one at the end of June and one at the end of July. Amounts vary depending on share type (regular, large, etc). Please ​get in touch with us for more details. Signing up early helps us to purchase seeds and supplies needed for the growing season. It also helps us to get the bulk of the administrative work out of the way so we can hit the ground running in the Spring! Spending money at the start of the season saves money and time in the long run by not having to go out and get supplies last minute with no time to shop around. If you've heard enough and know what you want then sign up below! For more info we're happy to discuss your options and answer any questions you may have. Just contact us! Enter your email here and we'll be in touch!